Jeriod holds an M.B.A. degree from Auburn University, and a B. S. degree from Hannibal-LaGrange University. He served in the Army for eight years, serving two tours in the Middle East, and worked in the banking industry for over ten years before entering the financial services profession. Born and raised in Bevier, MO, Jeriod and his family have resided in Hannibal since 2005. Jeriod's hobbies include running, golfing, reading, spending time with family, and following his favorite sports teams. Jeriod and his wife Leah have two sons, Ian and Grant. 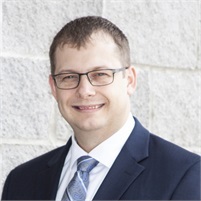 He is a deacon at Christ Fellowship of Hannibal as well as being involved on the Mark Twain Area Fellowship of Christian Athletes advisory board and the Hannibal Parks and Recreation board.